Since the weather is still pretty chilly, and I’m dreaming of warm-weather vacations, I assumed the rest of the population/all of you readers are doing the same. 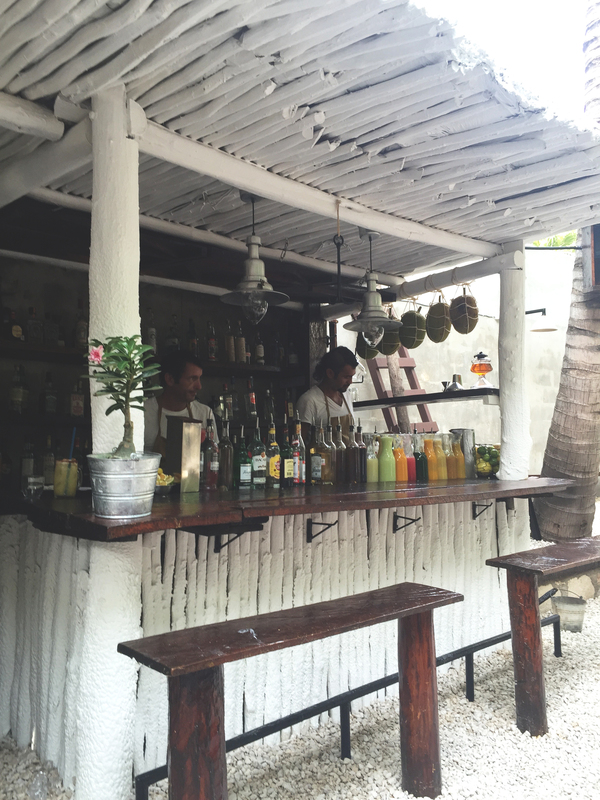 So in this edition of “fantasy vacation,” I’ll take you back to Tulum, which I visited last summer. 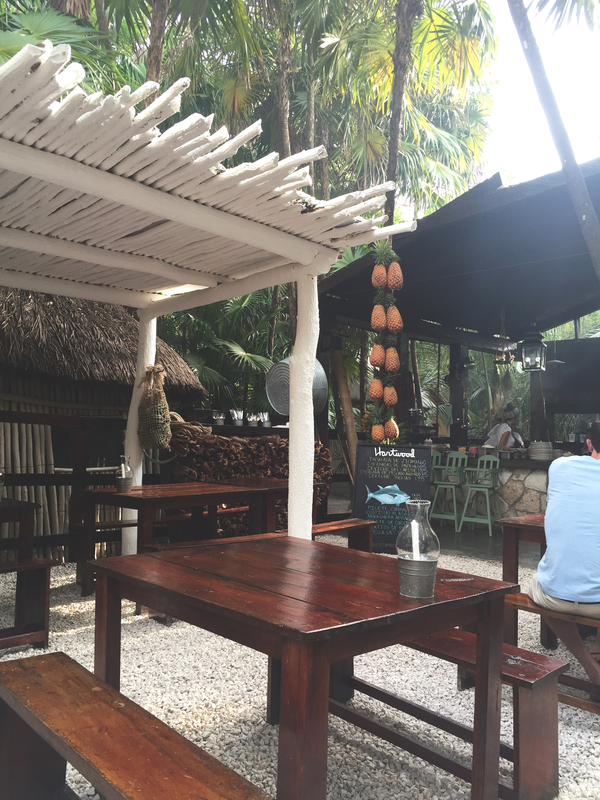 A few friends have asked me recently about my trip, hoping for travel advice and tips, and my first reaction was, “wtf, didn’t you read my blog? !” but then I calmed down and started to reflect on my favorite parts of that vacation. 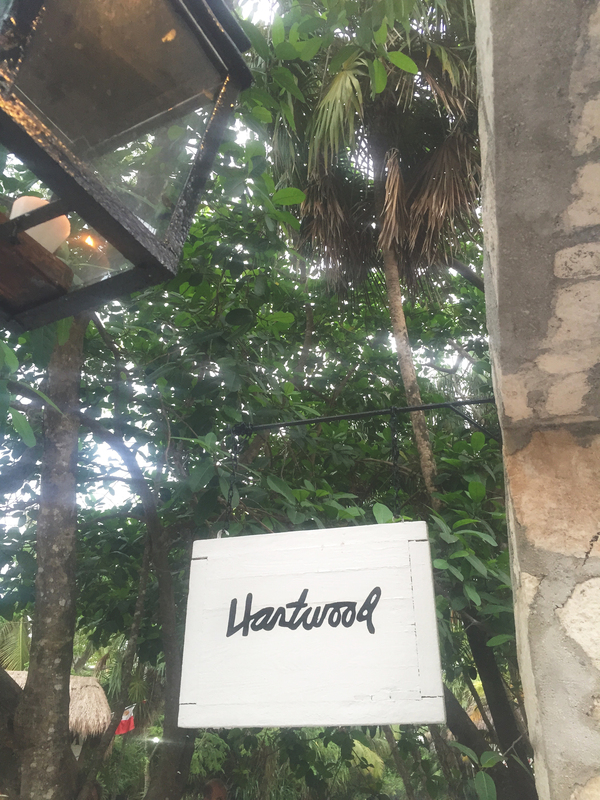 One of the best moments of the entire trip was our dinner at Hartwood. 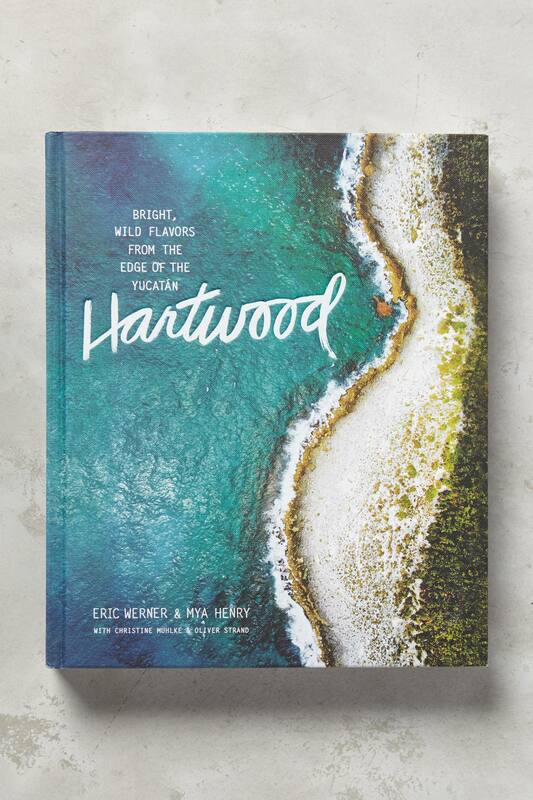 To celebrate that memory, my mom got me the stunning hardbound Hartwood Cookbook, featuring the beautiful dishes we ate, and all the wonderful flavors and meals that come out of that kitchen. Don’t miss your spot! Because they operate on a very limited seating per night, you’ll be treated to an incredibly intimate, calm and quiet dining experience, with an attentive server and well-timed made-to-order dishes. I’m salivating at present. If you get there early, order a drink at the bar. With the exception of costillas (which are a MUST ORDER), many of these items are seasonal/unique to the daily menu. Try them now or you may not have a chance to try them again! I recommend going with a group, ordering multiple dishes, and trying a bit of everything. You cannot go wrong. 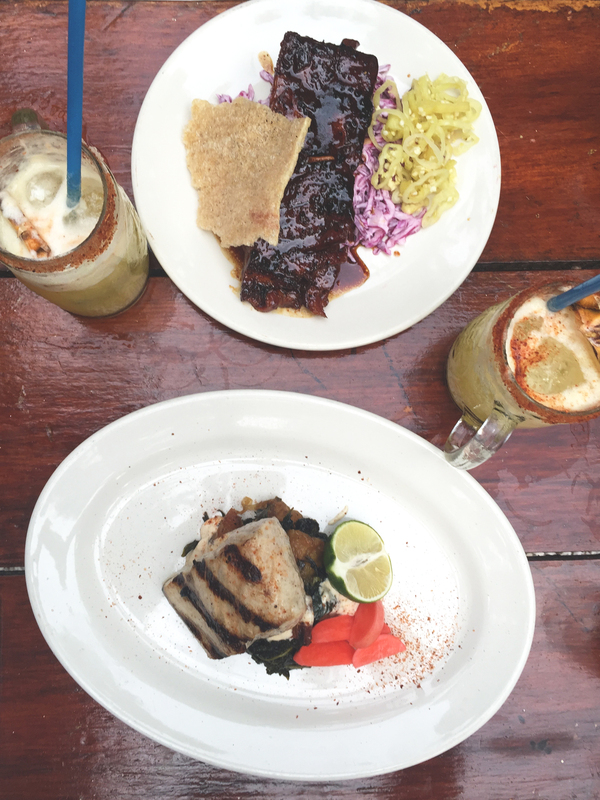 I personally loved the filet of coronado, jicama salad, costillas, and piña habañero margarita. It’s cash only. Pesos will save you a decent percentage – so just do yourself a favor and bring a grip of Pesos. Make sure you tip your server! 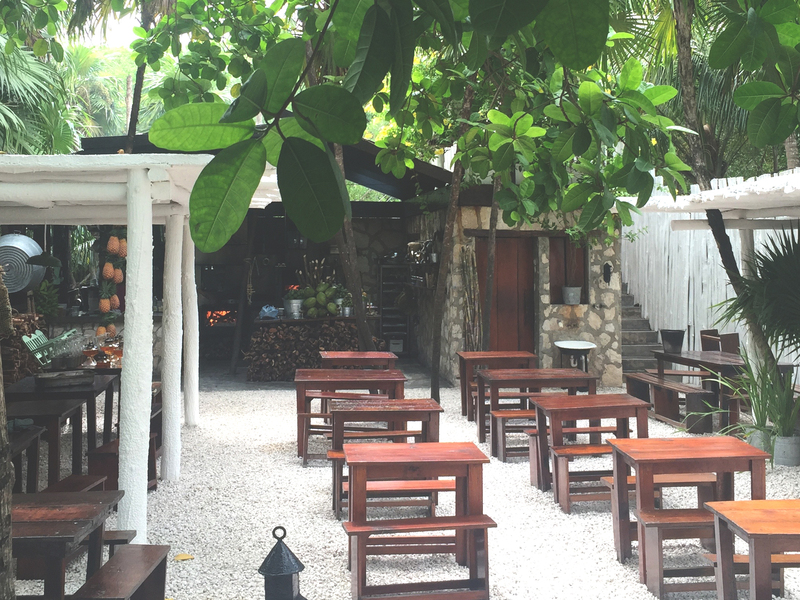 Remember, it’s a beautiful, 5-star status restaurant, but you’re also in the jungle. The incense stuff they use is to ward off bugs, but it can only do so much. Also, in terms of what to wear, think resort casual – I wore a crocheted white dress with tassels. V Mexico vibes. 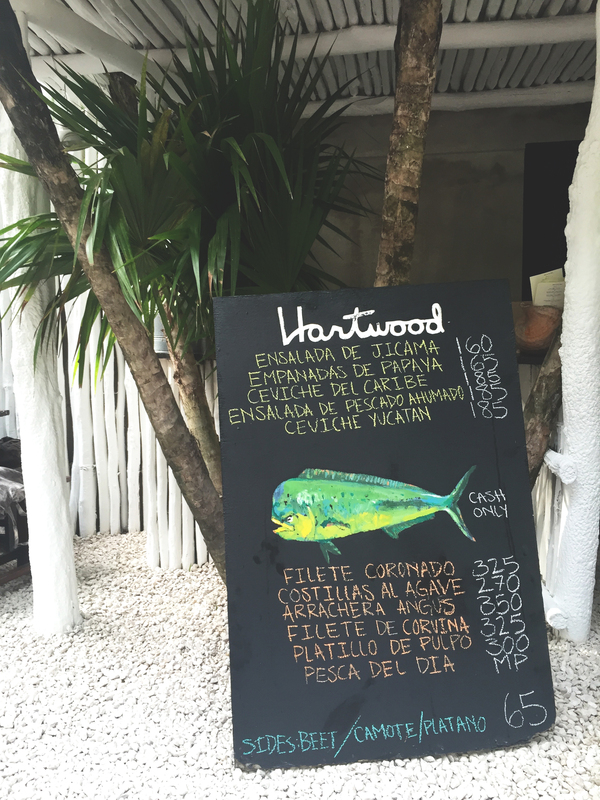 Now I’m thinking of ways to get back to Tulum this year for round two of dinner. Until then, I will make an attempt to roast pork ribs for 16 hours – wish me luck.